On the 20th July Formation had the pleasure of organising and promoting the long-awaited Norton Motorcycles Open Day at Donington Hall, Derby. After weeks of planning, designing materials and arranging logistics, we were extremely pleased with how the day went for two of our clients. 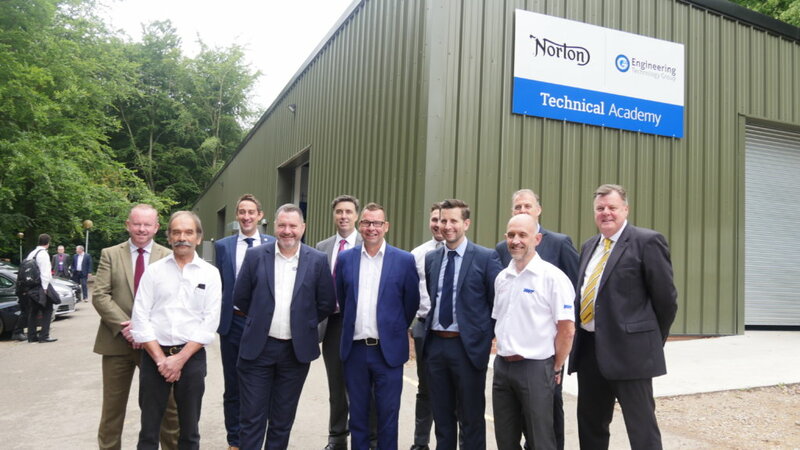 Namely the Engineering Technology Group (ETG) and In-Comm Training and Business Services.The open day celebrated the opening of a brand new technical academy in partnership with Norton Motorcycles and ETG. There has been a long running discussion in the engineering community on the shortage of skilled workers and the need to fill the skills gap to continue growth of the UK engineering sector. The ETG technical academies programme (with the backing of many fantastic technical partners), will ensure all upcoming sites will become hubs for training engineers of the future. 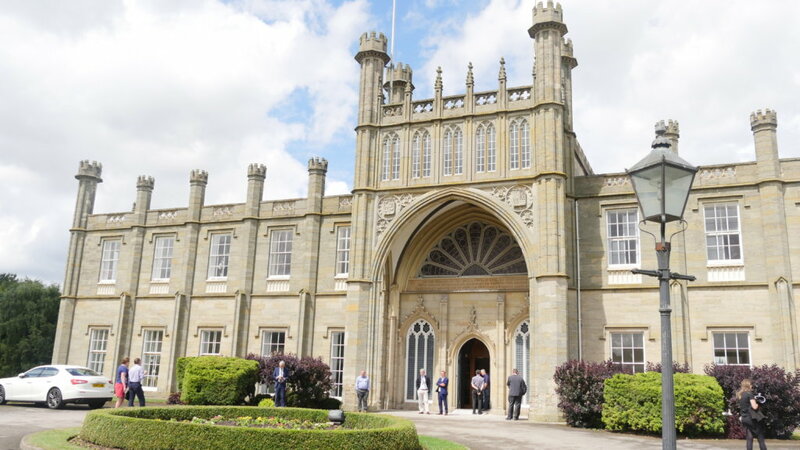 On arrival at the beautiful Donington Hall, guests received their passes for the day and breakfast was provided, before introductions were given by Martin Doyle, MD of Engineering Technology Group, and Stuart Garner, CEO of Norton Motorcycles. Both spoke about the importance of apprentices and training future engineers for the continued growth of the industry in this country, and how the partnership between their two companies will be the first of many to take up the challenge of filling the UK skills gap for engineering. Stuart Garner also told the fascinating story of how he revived the Norton Motorcycles brand in 2008 and has been building it back up ever since into a company known for their excellence, history, and quality. Touring the Norton Factory was a fantastic eye opener and an exploration into the level of work that goes into making just one motorbike. 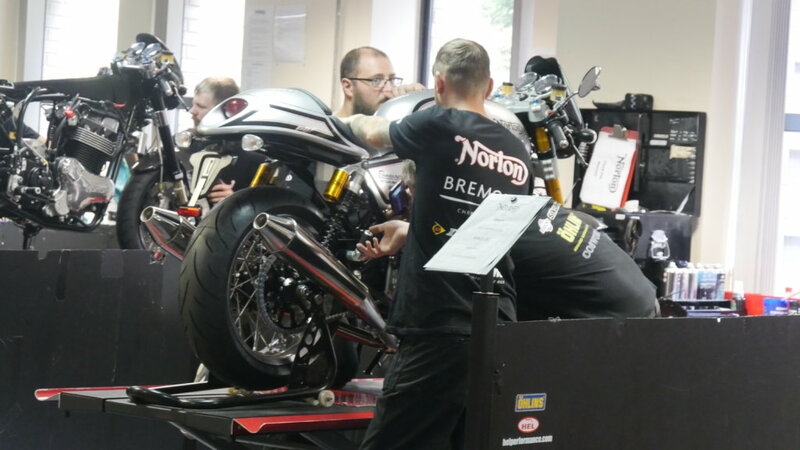 Witnessing the apprentices working in the fabrication shop was a great sight, and learning about what makes a Norton motorbike tick showed the level of detail, care and skill required – and exactly why technical academies are needed. We also learnt about Norton’s history in more detail, including the first racing bikes and the origins of the legendary Isle of Man TT event. The academy was officially opened that afternoon with a ribbon cutting ceremony between Martin Doyle and Stuart Garner. The reception to the new academy from all present was incredibly positive. With its purpose-built show room for several types of machines, the Technical Academy will be the ideal training centre for all future engineers to learn the ropes with practical hands on skills and experience. All training will be delivered by the Ofsted Outstanding rated In-Comm and their highly skilled instructors, acting as yet another fantastic partner for bridging the engineering skills gap, as Gareth Jones, MD of In-Comm, resounded in his closing remarks for the day. The academy is a true testament to the excellent level of engineering experience in the Midlands, and how they are working together in new partnerships to improve for the next generation. Formation are very pleased to have been part of this day, and to have our own MD Martin Gordon included as a Technical Partner of the new academy is a great achievement.